Medicines are often associated in the imaginary with something disgusting, characterised by a strong bitter taste. This is especially true for young children, so often running away from the mom with the spoon full the “unbearable” medicine. Taste is something that modifies gradually as years pass by, and adults are much more tolerant to bitter tasting medicines that younger people. 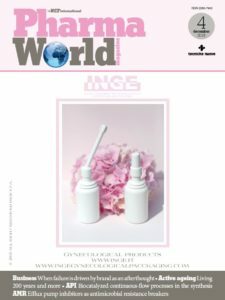 A bitter taste is an intrinsic characteristic of many pharmaceutical active ingredients, and it’s masking is often a challenge for pharmaceutical development, especially for medicines intended for the paediatric use. The mandatory filing of the Paediatric investigation plan calls pharma industry to a deeper attention towards tailored studies to develop dedicated formulations. These are rarely unique, as different paediatric age groups may require a different formulation approach. A recent workshop held at the School of Pharmacy of the University of Milan has been the occasion to better discuss the issues related to taste masking for paediatric dosage forms. The acceptance of the treatment by young people is often greatly influenced by factors as palatability and taste of the formulation. «Children are demanding patients. The so-called mouthfeel, the appearance the product has inside the mouth, the volume it occupies, the chemical interaction with receptors on the tongue, the impact of API’s taste and odour are all factors to be taken into consideration during formulation development. The more recent theories on taste suggest that the tongue is not characterised by the five specialised flavour areas, as believed up to now. Instead, there are pluripotent receptors equally distributed all over its surface», tells Paolo Gatti, Research Fellow at Adare Pharmaceuticals. Physical interaction and texture within the mouth, in the same manner it occurs with food, is fundamental to determine the pleasantness of the formulation. The reprocessing of taste is one of the main challenges to face, as Gatti further explains: «Psychobiology tells us that chemical information is reprocessed according to dietary habits, age, disease. Children, for example, seem to be more susceptible to the bitter taste than adults do, and they greatly prefer sweet tastes». Paediatric drug development cannot use taste’s acceptance panel tests as a predictive tool, as done instead for the adult age. A possibility to overcome this difficulty is to run panel tests with adults having a taste perception very similar to those of children, as for example are sommelliers. The bullfrog is an animal model used for in vivo tests, being characterised by a single nerve connecting the tongue with the brain. «The nerve may be used to send a signal to a detector of electric potential, so to gain a rough idea of the efficacy of taste masking. Mice often have different reactions to unpleasant tastes than men do, thus this model may results difficult to understand», adds Paolo Gatti. Biosensors simulating taste buds are also available, i.e. in the “electronic tongue”. These methods, up to now, are only able to say if the analysed taste is different from the reference one, but they cannot establish if it is more or less pleasant-tasting. «A way often used to make the taste more pleasant consists in limiting the salivary product’s solubility – tells Gatti.- In this way, the number of molecules of the substance able to stimulate tongue’s receptors becomes lower. It is not always possible or convenient to abolish the solubility of the drug, thus the addition of sweeteners, flavours or enhancers is used. Citric acid, for example, stimulates the production of saliva, thus it may encourage the consumption of the medicine». Dissolution tests and the release profile of the active ingredient are important data to be acquired, for example, to decide whether it would be convenient to use a filming agent to prevent contact with the tongue or if the development of a gastric or intestinal release formulation is needed for biopharmaceutical reasons. «Taste-related issues are often not taken into consideration while determining the profile of a lead candidate, and chemical-physical characteristics and therapeutic efficacy are the only features evaluated. The Paediatric investigation plan should include also studies to collect missing data», Gatti further highlights. Children have very variable behaviours with respect to taste acceptance: the more recent trends in formulation development, especially in the U.S., are using paediatric dosage kits consisting of up to thirty different flavours among which the single patient can choose its favourite one to be added to the medicine. «This approach presents strict regulatory and safety requirements», adds Gatti. The viscosity of the liquid dosage forms could also be modified, as its increasing often corresponds to an improved mouthfeel and to a decreased perception of unpleasant tastes. Pro-drugs which are less soluble than the free active ingredient, i.e. esters, may also be used. «This represent an extreme resource, because the pro-drug is a true new chemical entity, thus requiring additional tests», says Gatti. Another possibility for taste masking, valid especially for liquid dosage forms, is the formation of inclusion complexes with cyclodextrins or the binding with ion exchange resins. Amylose or maltodextrins are food ingredients having a well-characterised safety profile that can be used to avoid cyclodextrins, an excipient those regulatory profile is not often so easy to handle. Multiple emulsions (water/oil/water or oil/water/oil) allow in order to create a physical protective barrier that isolates the active ingredient, thus limiting its release at contact with the saliva and its interaction with the tasting receptors. A solid dispersion of the active ingredient within a polymer may give less efficient results in taste masking because the drug is also present at the surface of the homogeneous dispersion. Classical film coating techniques or microencapsulation may also be useful solutions. Gatti further adds: «Because of the complexity of taste masking, niche methods might result to be the more efficient ones». The development of formulations for paediatric use needs also to pay attention to the compliance of adults, as being responsible for the administration of the drug to children. 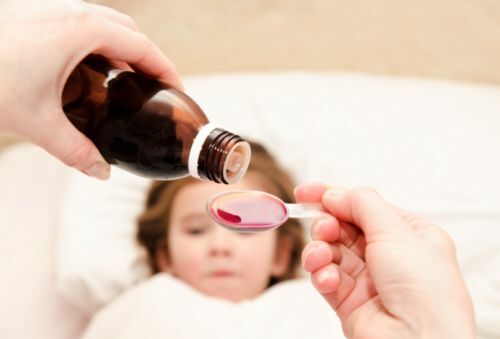 «The Reflection Paper published by the European Medicines Agency reports data on acceptability of the different pharmaceutical dosage forms across the different paediatric ages (Table 1) – tells Giuseppe Colombo, manager of Pharmaceutical Technology at Italfarmaco. – Up to two years of age, for example, solid dosage forms are highly discouraged, while it possible to use liquid dosage forms immediately after birth. These last ones represent a sort of “Saint Graal”, as they allow a great flexibility of dosage». The availability and costs of the active ingredient may also be of obstacle while developing the formulation, especially if, as for paediatric medicines, it is necessary to develop several pharmaceutical forms and multiple dosages in order to cover the entire paediatric population. A suspension of an insoluble active ingredient allows, for example, obtaining great dose flexibility while acting also on taste masking. «A 1% suspension, for example, can allow for the administration of dosages in the range from 5 mg (0,5 mL) up to 100 mg (10 mL): the packaging is the same, only the size of the syringe used to extract the drug changes», further explains Colombo. This type of approach allows also for a simplification of the pharmaceutical development studies needed in order to obtain regulatory approval, with fewer batches and stability assays to be performed. Several examples of combined packaging/syringe for oral used are already on the market, permitting a correct dosage of the medicinal product while ensuring the safety of use by the adult administering it. The development of a suspension dosage form may present some difficulty, as for example the need to demonstrate dosage uniformity, to obtain a good palatability and to use excipients such as sweeteners, preservative agents or surfactants, which should be avoided in the paediatric age as they may present metabolic and absorption profiles different from those of the adults. «Mini-tablets, having a diameter of less than 4 mm, are acceptable starting from 4-5 years of age. Parenteral administration, on the other hand, is compulsory for pre-term new borns, infants and children with severe pathologies. For this last instance, often formulations are the same as for the adult population, but administered volumes are smaller and a great attention must be paid, as dilution of adult’s dosage forms might cause errors or problems», concludes Giuseppe Colombo. The European Paediatric Regulation requires that pharmaceutical companies submit proposals for Paediatric investigation plans (PIPs) to the European Medicines Agency’s Paediatric Committee (PDCO). PIPs should be submitted to the Agency as early as possible; usually they are submitted in parallel with the planning of phase 2 studies in the adult. The new regulation aims to increase studies in children to support the authorisation of a medicine for this population of patients. The Committee is responsible for agreeing or refusing the plan. PIPs include a description of the studies and of the measures to adapt the medicine’s formulation to make its use more acceptable in children, throughout all age groups from birth to adolescence. The Regulation specifies cases when the paediatric development plan can be modified at a later stage or studies can be deferred until after the studies in adults have been conducted.